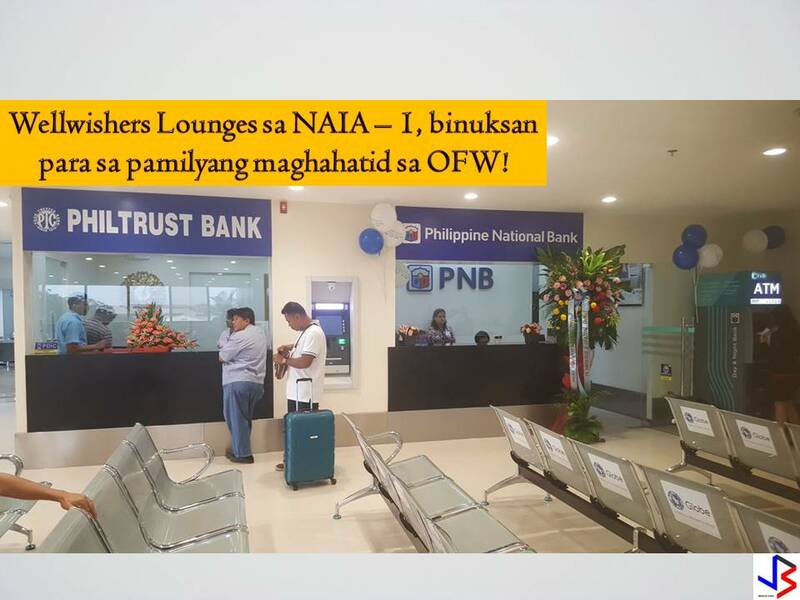 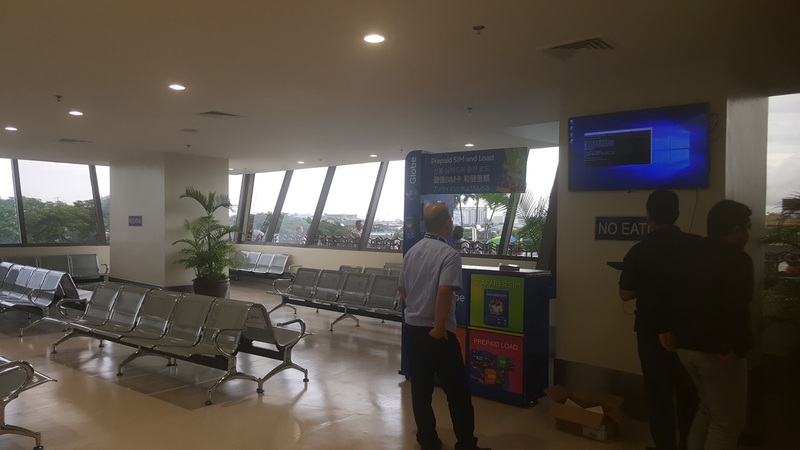 The Ninoy Aquino International Airport Terminal 1 already opened its "Wellwishers Lounges" and they are encouraging OFWs and their families to avail and use the area. 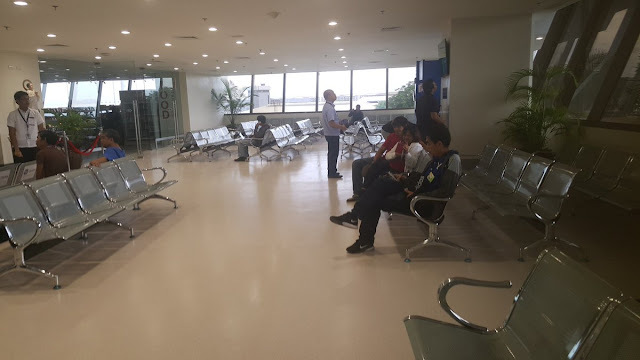 Heat, sweat, and broken hearts- that was how you could describe the farewell of overseas Filipino workers or OFWs at Ninoy Aquino International Airport before the opening of Wellwishers Lounge, many OFWs and their families choose to stay outside NAIA Terminal 1 and spend few more minutes together as they brace for many months or years of being apart. 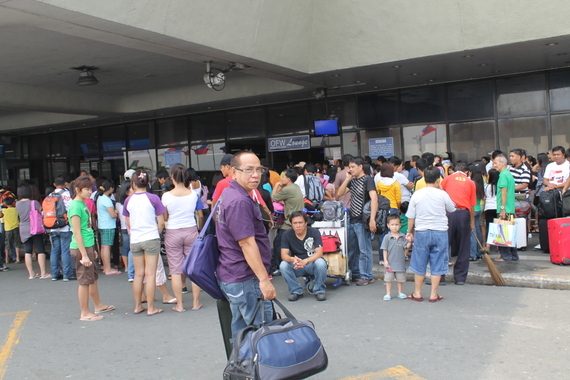 This is the usual scene outside NAIA, under the scorching sun, families, and friends have to stay outside to bid farewell to their relative who is bound to work overseas. 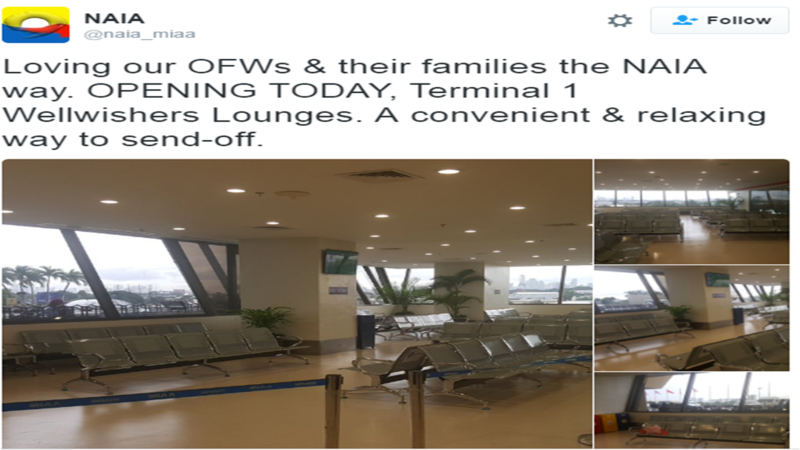 But not anymore, because today a lounge specifically for OFWs and their families was opened. 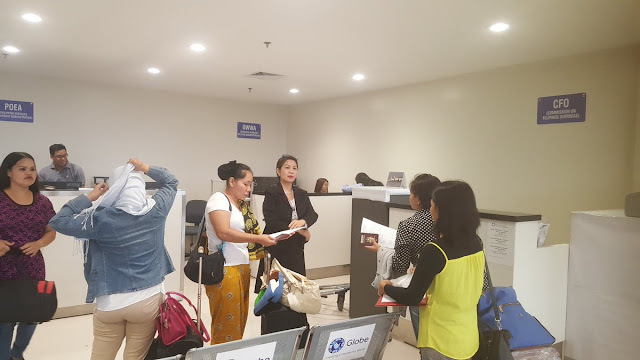 The Wellwishers Lounge is now open for the use of OFWs and their friends and relatives who want to bid them farewell before their flight. 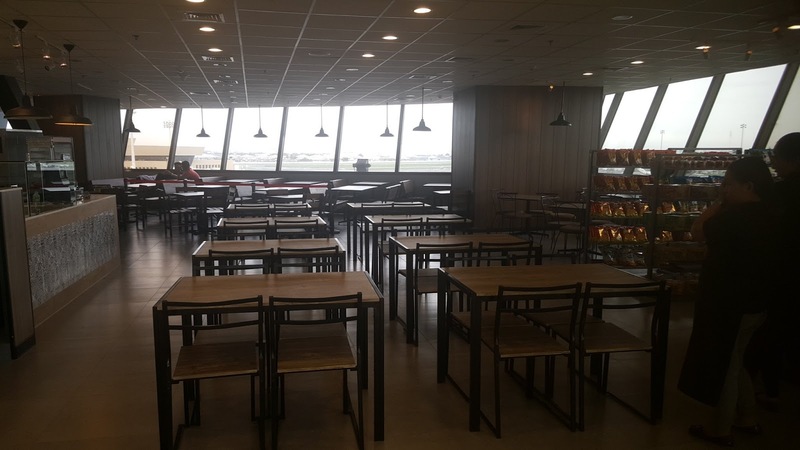 It is opened for the convenience and to at least ease the heavy hearts of those who will send-off loved ones to work overseas. Manila International Airport Authority (MIAA) General Manager Ed Monreal and an OFW Girlie Maalihan who is leaving for Riyadh, cut the ceremonial ribbon for the lounge.